We just revealed something called “Teaser site“. 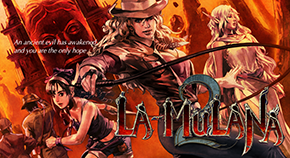 Will update more information about LA-MULANA 2 on the page. 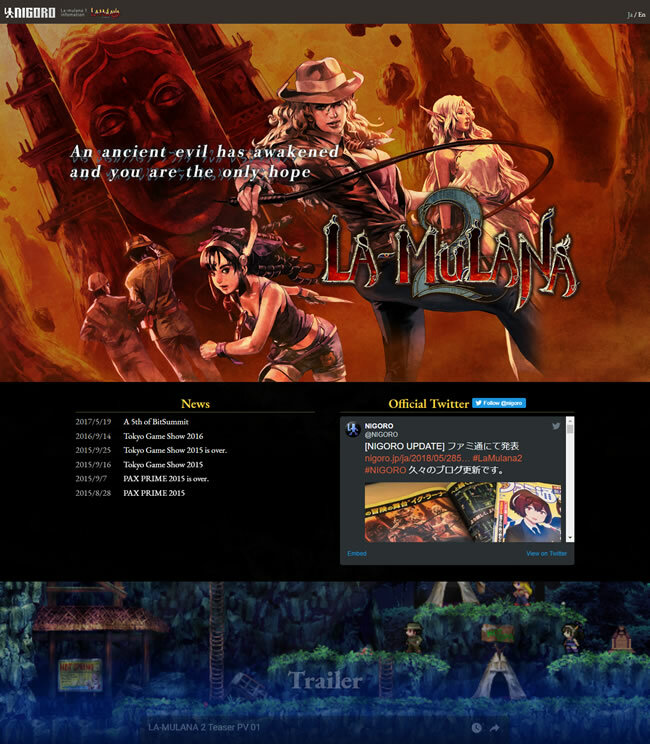 By the way, BitSummit 6 in Kyoto is starting tomorrow, and LA-MULANA 2 will be displayed there. There is no NIGORO booth, but it can be seen at a corner of PLAYISM booth. You can start to play it form the very beginning point of the game. It takes some time to walk through the introduction part, but you can see someone playing it in the back, and you can beat it to inherit from previous player’s progress. NIGORO members also will be hanging around PLAYISM booth. Looking forward to seeing you at Miyakomesse in Kyoto!